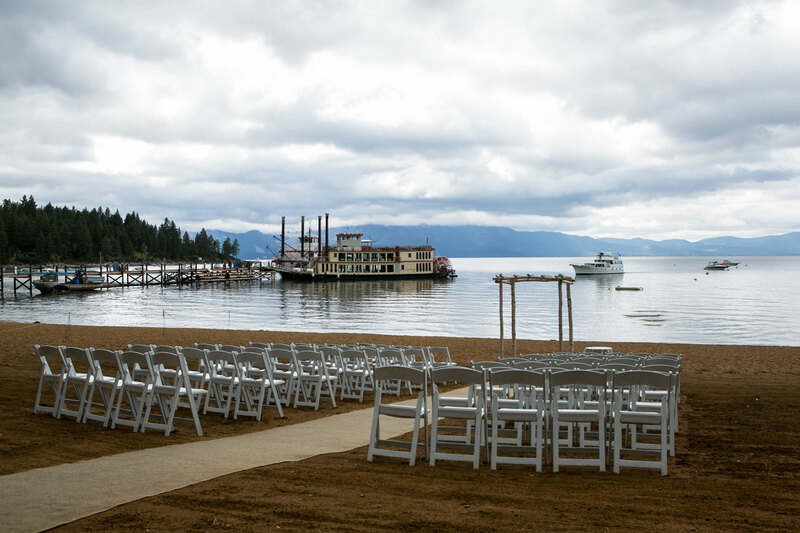 Picture a wedding venue with breathtaking view of turquoise South Lake Tahoe and an intimate setting that embraces the outdoors, relaxation, and bringing people together. Now imagine exchanging wedding vows onboard a gorgeous paddlewheeler boat, while the sun sets into the hills behind you and the warm, gentle breezes brush by. Zephyr Cove Resort and Lake Tahoe Cruises is a place that invites guests to leave everyday cares behind, to come together to celebrate the occasion and the pristine beauty of its surroundings – on the shores of South Lake Tahoe in one of our charming cabins nestled along the shore, or aboard one of our fabulously equipped cruise boats.